Since February 18, 2019, Nifty PSU Bank index outpace the market by gaining 10%, against 3.5% rise in Nifty 50 and Nifty Bank index. The shares of public sector banks (PSBs) were trading higher for the sixth straight day, with the Nifty PSU Bank index hitting a one-month high on Thursday in an otherwise subdued market. At 01:05 PM, the Nifty PSU Bank index, the largest gainer among sectoral indices, was up 0.85 per cent, as compared to 0.14 per cent decline in the benchmark Nifty 50 index. The bank index hit an intra-day high of 2,958, its highest level since February 7, 2019. State Bank of India (SBI), Punjab National Bank (PNB), Bank of Baroda, Oriental Bank of Commerce, Bank of India, Union Bank of India, Allahabad Bank, Vijaya Bank, Andhra Bank and Canara Bank were up 1 per cent to 4 per cent on the National Stock Exchange (NSE). The index has outpaced the market by gaining 10 per cent since February 18, after the Centre announced fresh capital infusion of Rs 48,200 crore in PSBs. In comparison, the Nifty 50 and Nifty Bank index rose 3.5 per cent during the same period. In past one-and-half month, the Reserve Bank of India (RBI) has removed five banks – Allahabad Bank, Corporation Bank, Bank of India, Bank of Maharashtra, and Oriental Bank of Commerce – from the prompt corrective action (PCA) framework, allowing them to lend freely in line with the government’s objective to empower lenders so that they support economic growth. “Build-up of stress from 2009 to 2015 had led to deterioration in key performance parameters of PSBs. To address this issue, the government, since 2015, rolled out the 4R’s strategy of Recognition, Resolution and recovery, Recapitalisation and Reforms. Significant progress has been achieved in each of the four R’s. Hidden stress recognition is nearly complete, IBC and other reform measures are accelerating recovery from NPAs," according to Boston Consulting Group (BCG). The recapitalisation announced by the government is expected to be completed by the end of FY19. That, and improved financial performance of PSBs, is expected to increase investor confidence enabling PSBs to raise capital from the markets. 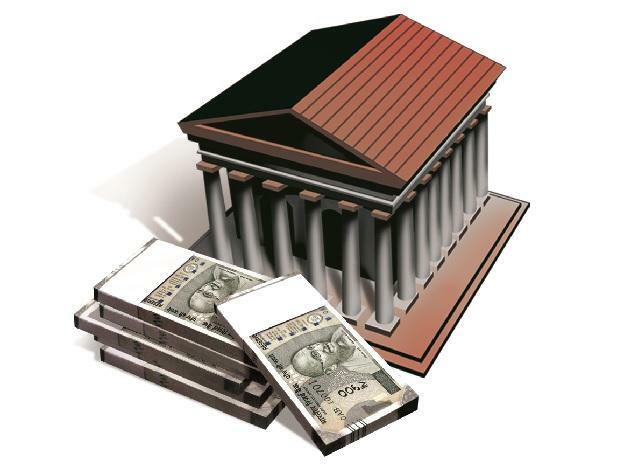 "Reforms is a continuous journey and sustaining the momentum of reforms will help PSBs to further improve performance by FY20 and build platform capabilities for the future," a global management consulting firm said in a report. Meanwhile, brokerage firm ICICI Securities has ‘buy’ rating on the State Bank of India with a 6-month target price of Rs 305 per share. The SBI has underperformed in past few years due to slower economic growth, muted credit demand from corporate and asset quality concerns. In addition, the merger of subsidiaries was an overhang as GNPA from subsidiaries and higher employee cost burden was to be provided. “SBI, given the improving overall credit growth and a possible shift of business from NBFCs, is best placed to ride this opportunity and we expect a sharp improvement in its earnings trajectory. Faster resolution of troubled assets coupled with higher credit growth to drive earnings. Hence, we maintain our BUY rating on the stock,” the brokerage firm said in a report.